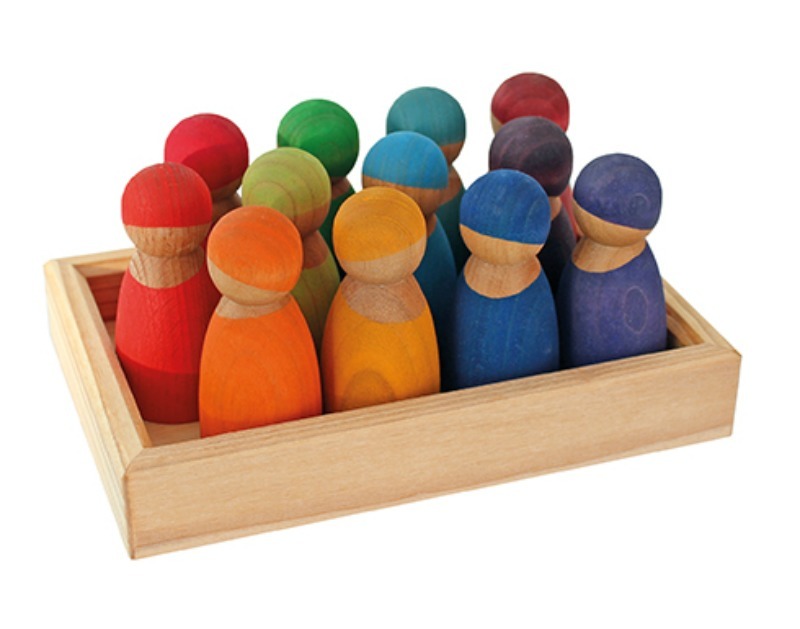 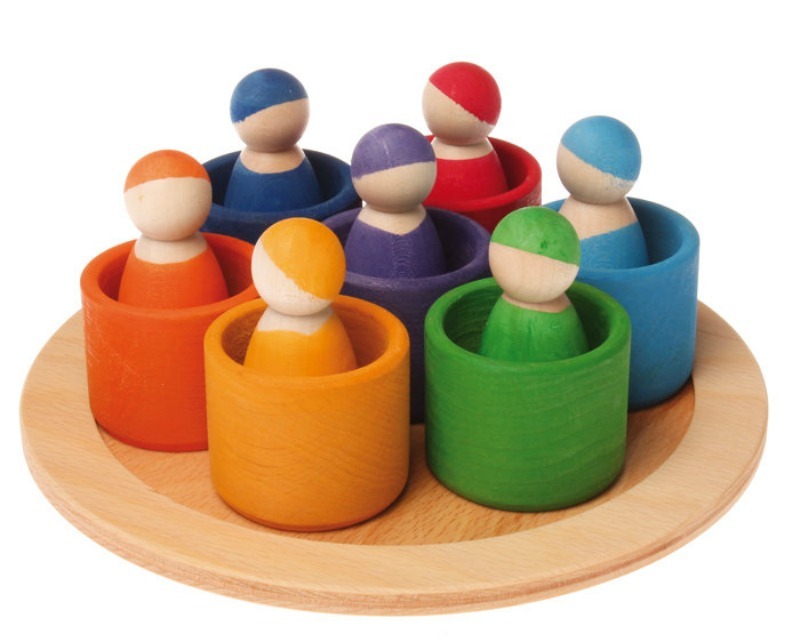 Grimm's 7 Friends in 7 bowls is a unique wooden sorting and matching toy with peg dolls. 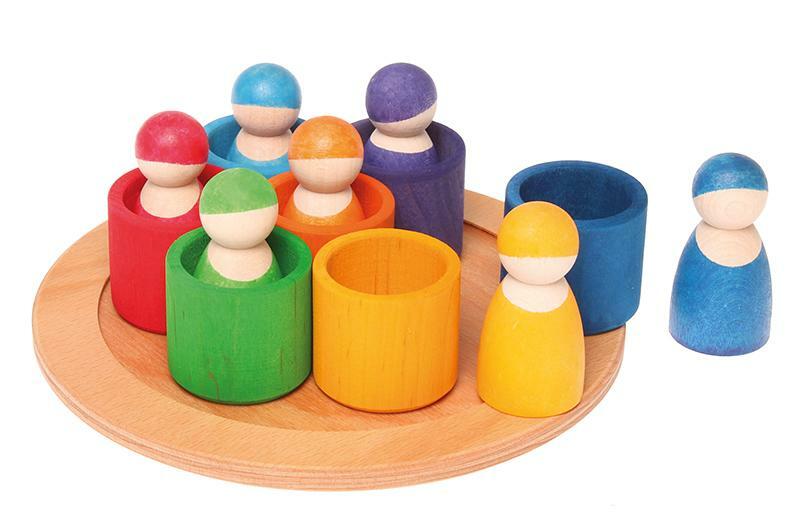 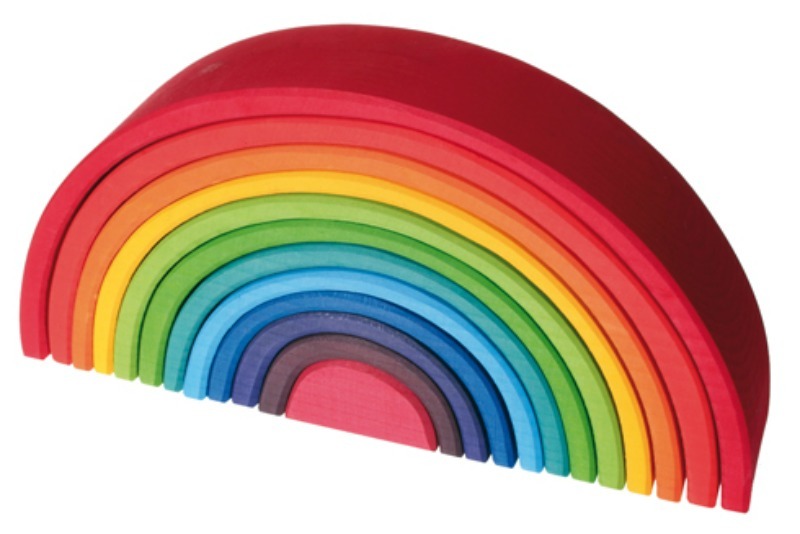 The amazingly versatile peg dolls, bowl and tray allows little imaginations to blossom and grow naturally through play. 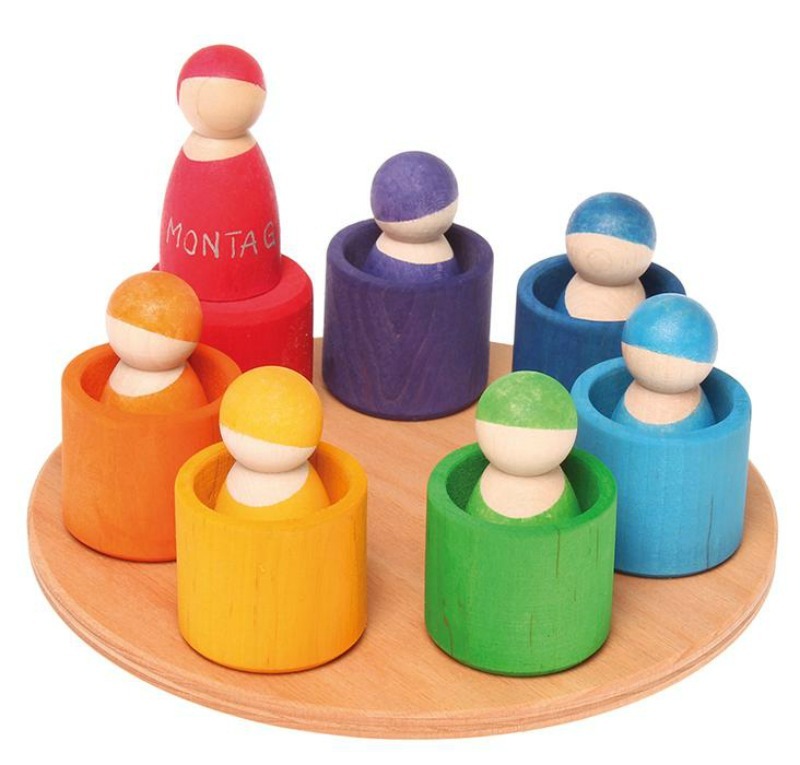 Watch your toddler stack, sort and match, learning to recognise colours, shapes, sequencing, developing imaginative and fantasy play! 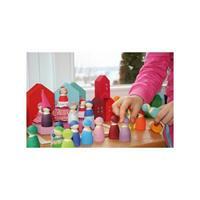 A gorgeous standalone wooden toy and a perfect addition to play with more from the Grimm's Wooden Toy range. 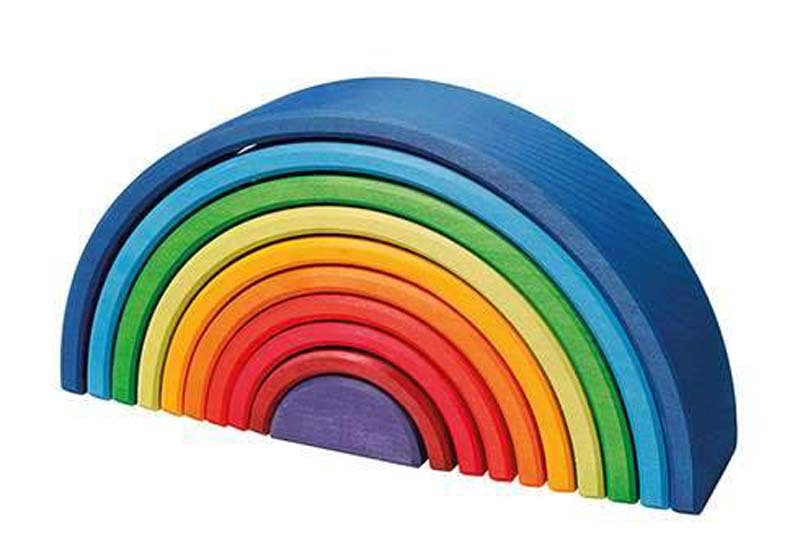 non-toxic water based color stain/non-toxic plant based oil finish. Dimensions: Frame diameter 19cm, peg dolls height 6cm, diameter 3cm. 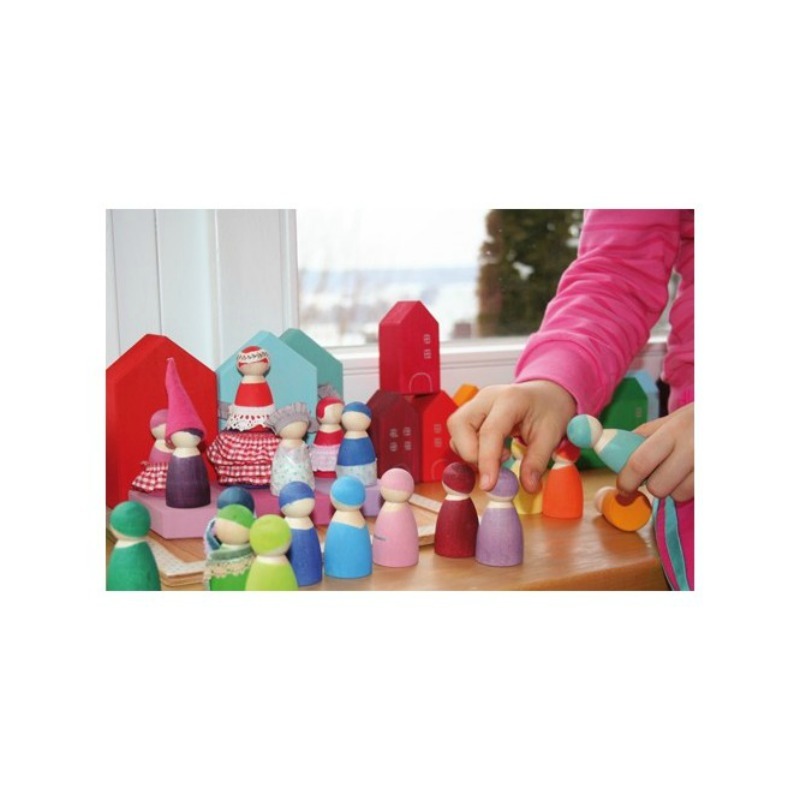 Tip: You can style the peg dolls with cloth or tape.